Some books are like photographs in that they capture a special time in one’s life. For our family, this book is one. I discovered this story around the time my husband began taking our four year old son on Daddy-Son Dates. They would go out for Saturday morning breakfast at Cracker Barrel or McDonalds and then to the Dollar Store to spend his allowance, simply to have Just You and Me time. When our daughter turned three, he began alternating weeks between them to have Daddy-Daughter Dates too. Soon our third will be old enough to enjoy one-on-one time out with Daddy. McBratney’s story will always remind us of these dates as he creatively captures the feeling of “I don’t want anybody else” for a time. . . “Just us”. “One day Little Goosey and Big Gander Goose, who looked after her, set out to walk down to the river.” When a storm comes upon them and threatens their enjoyable time together, they divert their walk to begin looking for a place to hide. 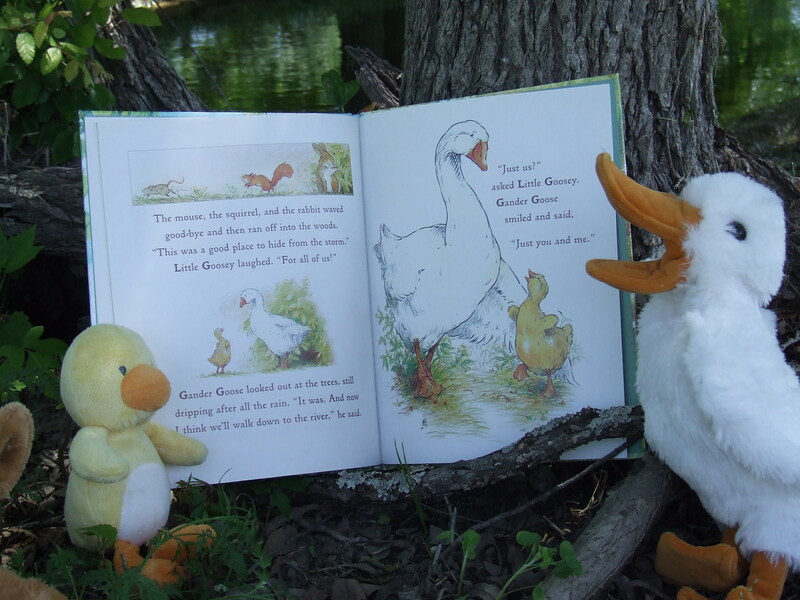 First a mouse invites them to share his “hole in a ditch”, but when Little Goosey whispers to Gander Goose that he wants “just me and you” during the storm, Gander Goose graciously tells the mouse that the place is a bit too damp for them. 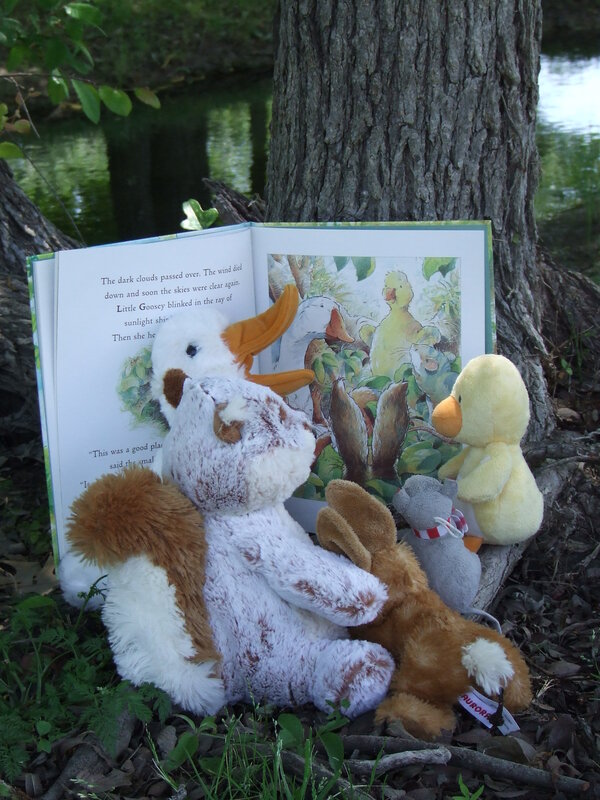 Second, a squirrel invites them to share his “hole among the roots of a tall tree”, but when Little Goosey reminds Gander Goose that he wants “just me and you”, Gander Goose nicely shows the squirrel the hole in the top of the trunk that rain could enter. 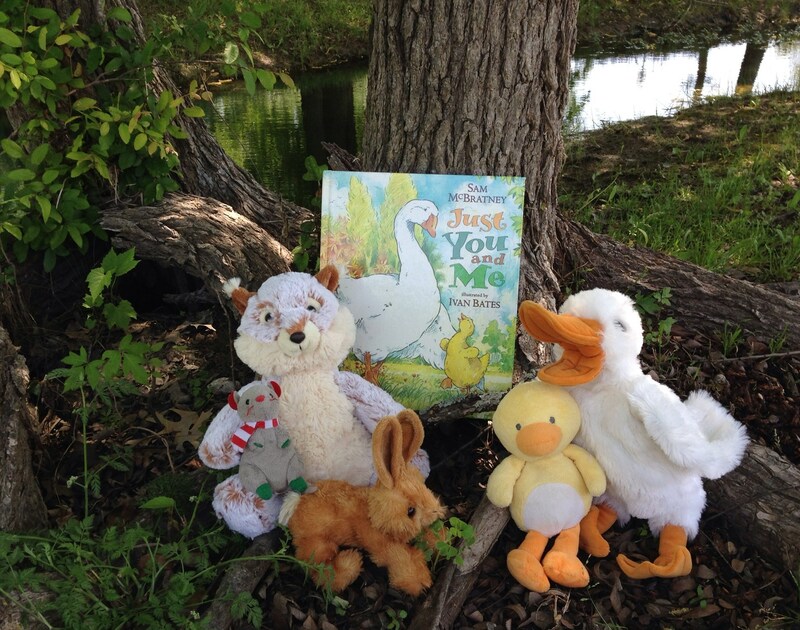 Third, a rabbit asks them to share his “cave among the rocks”, but when Little Goosey says again that he wants “just me and you”, Gander Goose uses the hard stones as an excuse to continue searching for a place for just the two of them. Finally they find a “hole behind a bush at the bottom of a hill” which no one has yet discovered. They nestled in together before the storm arrived and rested. 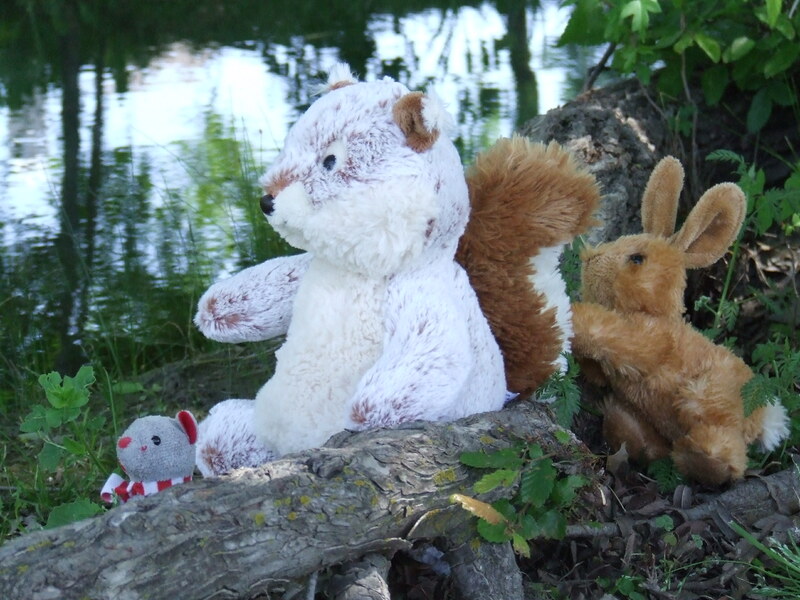 When it passes, they peak out, only to hear someone behind them say, “This was a good place to hide from the storm.” There Gander Goose and Little Goosy find that the mouse, squirrel, and rabbit had followed them in search of a better hiding place! Laughing, they all come out into the sunshine, and once their new friends say good-bye and run off, Gander Goose asks Little Goosey to continue their walk by the river. “Just us?” asked Little Goosey. F- When do you feel like being alone with your parent, grandparent, or older sibling? R- Can you relate to finding a safe spot during a storm or even a tornado? If so, where did you hide out until the storm passed? I- Imagine being your favorite forest animal during a storm. Where would you hide? E- Explore your neighborhood by taking a walk with your parent or grandparent and find some hiding places animals may burrow during storms! N- Navigate a “storm maze” by drawing a maze with Little Goosey & Gander Goose at the start and their hiding place at the end. Do this activity in partners so you can exchange mazes. D- Develop a list of five “Just You and Me” activities you’d like to do with a parent, grandparent, or older sibling or friend and see if he or she will pick one to do with you. S- Write your own paragraph or story titled “Just You and Me”, describing some one-on-one time that you had with someone special. Share your writing with that person as an extra-special way to say thank you. We treasure our dates with our kids, knowing that one day they will have dates of their own apart from us. Our hope is that what we invest into them now will be something they remember and desire to continue, never outgrowing “Just You and Me” time (even when the venue changes from the Dollar Store to Dicks Sporting Goods). We invite you to “Follow the Blog via E-mail” today at http://www.kidsbookfriends.com as we welcome your comments and stories of one-on-one time with your special someone. This entry was posted in spring and tagged April showers bring May flowers, big brother, Daddy-daughter dates, Ivan Bates, Just You and Me, one-on-one time, only child, Sam McBratney, thunderstorms. Bookmark the permalink.